Welcome to the Washington County Appraisal District website. We are pleased to offer our customers a comprehensive source of information on property taxes in a convenient on-line basis. In our website, you will find general information about the appraisal district and the property tax system as well as information regarding specific properties within the appraisal district. The website is part of our overall effort to provide prompt, courteous service to our customers in the most efficient manner possible. In addition to the website, we have an experienced and knowledgeable staff available to assist you in property tax matters. We encourage you to use all of the resources of the appraisal district and look forward to serving your needs in the future. Texas law prohibits us from displaying residential photographs, sketches or floor plans on our website. You can inspect this information or get a copy in person at the WCAD office. H.B. 394 amends the Tax Code to include information that indicates the age of a property owner, including information indicating that a property owner is 65 years of age or older, among the information in property tax appraisal records that is prohibited from being posted on the Internet. The bill requires the chief appraiser for each appraisal district to ensure that any information indicating the age of a property owner that is posted on a website controlled by the appraisal district is removed from the website not later than the bill's effective date. ~ EFFECTIVE DATE - September 1, 2015. Homeowners who are age 65 or older or disabled may defer or postpone paying property taxes on their home as long as they own and live in it. A tax deferral, however, only postpones the tax liability. It does not cancel it. Past taxes, penalty and interest become due 181 days after the subject property no longer qualifies as a homestead. 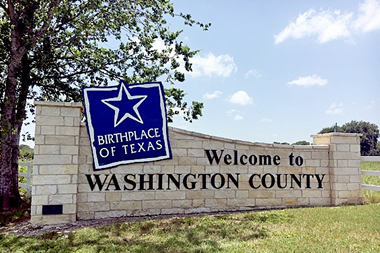 To postpone your tax payments, you must file a tax deferral affidavit with the Washington County Appraisal District located at 1301 Niebuhr Street, Brenham, Texas 77833. For further information you may our office at (979) 277-3740. The Mission Statement of the Washington County Appraisal District is to provide excellent quality appraisal and collections services in a fair and efficient manner that is cost effective.